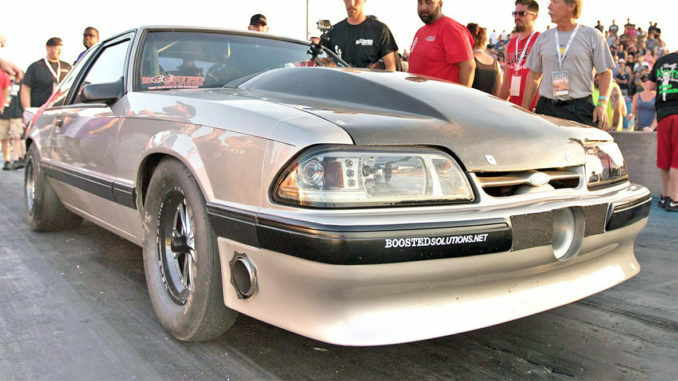 When most people build a fast Fox Body it’s usually an N/A engine with around a 100-200 shot of nitrous on top. For some people, however, that’s simply not enough. If you want to bust into the 9s with a Fox Body you’ll need a massive N/A engine, or forced induction. 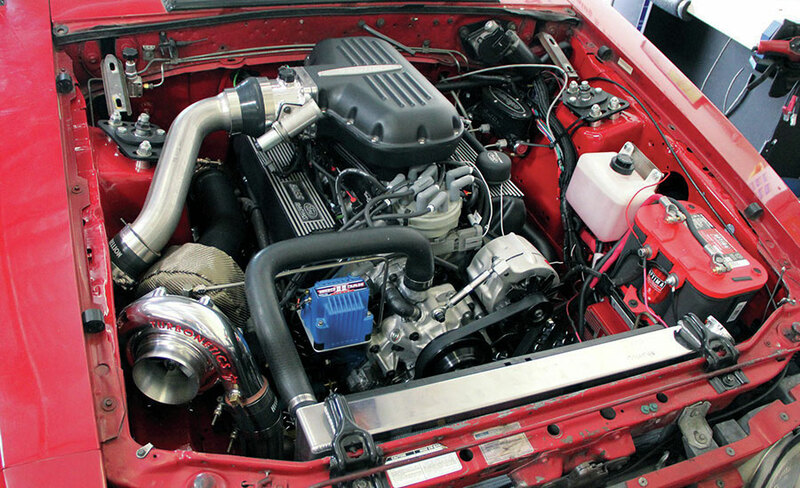 Here’s what you need to know if you to turbocharge your Fox Body Mustang. If you’re building a Fox Body you might wonder why you should bother with a turbocharger. You could go with a supercharger or nitrous instead of a turbo. While a supercharger might give a more desirable torque curve it puts a lot of stress on the crankshaft. Supercharged cars are notorious for worn crank bearing. This is because the supercharger is driven by the crankshaft and messes with the harmonics of the belt system. You could also go with nitrous. We know that small-block Ford engines love nitrous and we do too. The problem with nitrous is having the system ready to go when you are. You may need to purge the system or heat up the bottle before you’re ready to race. Nitrous is also known for killing pistons if the tune is slightly off. A turbocharger can make huge amounts of power without absolutely destroying your engine. Turbochargers are also more efficient since they run off exhaust which is an engine byproduct. There are plenty of YouTube videos of turbo Fox Body Mustangs running for years at the same 450whp power level. Turbocharging has been proven to be a more reliable way to make big horsepower. There are a few different turbo kits available for the Fox Body. Some are twin turbo, and some are single turbo. We’re going to list the turbo kits from cheapest to most expensive, because some of us can only afford the cheap turbo kits. On3 Performance has been making one of the most popular Fox Body turbo kits on the market for over five years now. Their popularity has a lot to do with their low cost, and high quality. All the parts are quality, even for a Chinese turbocharger. Their kit can bolt right onto your Fox Body and make 450whp easily without any other major modifications. 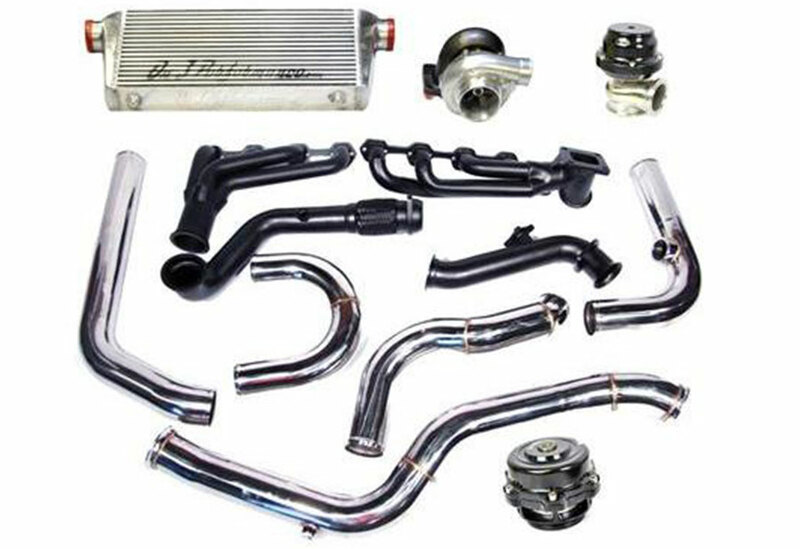 Their kit includes absolutely everything you need from manifolds, piping, intercooler, plumbing, and more. CX Racing has been one of the most popular names in the aftermarket turbo community for a very long time. Much like On3 Performance, CX Racing is known for very low cost products. 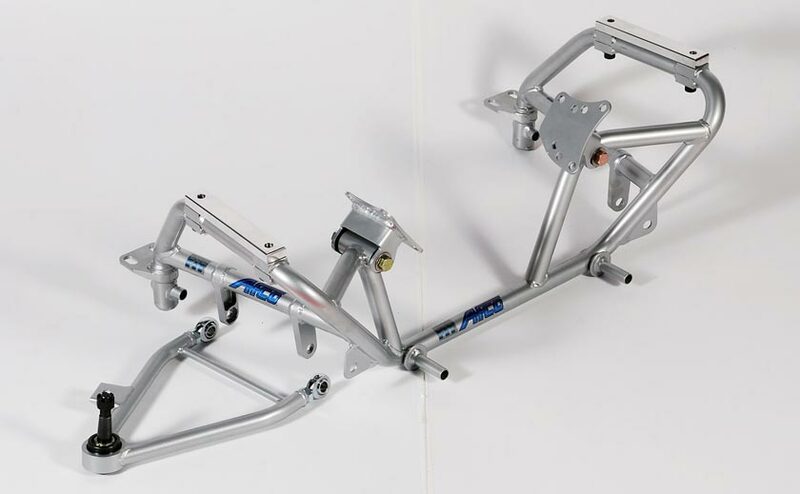 This kit should be able to bolt on to any Fox Body and make 450whp with ease. The kit includes both turbos and everything needs to put the kit together. Just be aware that CX Racing is known for very question quality, especially compared to the other companies on this list. For those of you who prefer single turbo kits, the CX Racing T76 kit might be for you. This kit costs about as much as the CX Racing twin turbo kit. It includes absolutely everything necessary to bolt the kit on and make big horsepower. If you really want a single turbo kit I think the On3 kit is better, especially considering CX Racing’s questionable quality. I wanted to feature the “Chinese turbo kits” first since most of us just want lots of horsepower as cheaply as possible. If you can afford a quality system, however, I would strongly recommend doing so. The Hellion “Heat Kit” is the turbo kit we decided to feature. 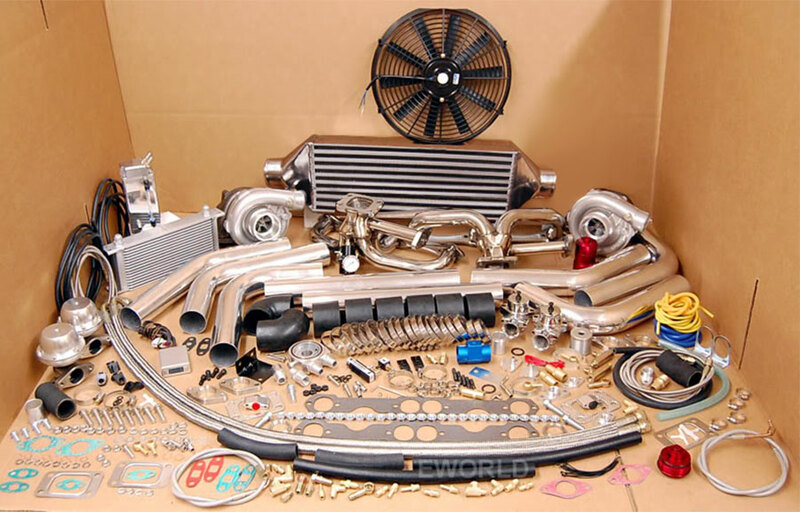 This kit uses a high quality Turbonetics 61mm turbocharger which will spool much faster, last longer, and make more power than the 76mm Chinese turbochargers. Unfortunately the stock block is the biggest limitation when putting forced induction on your Fox Body. 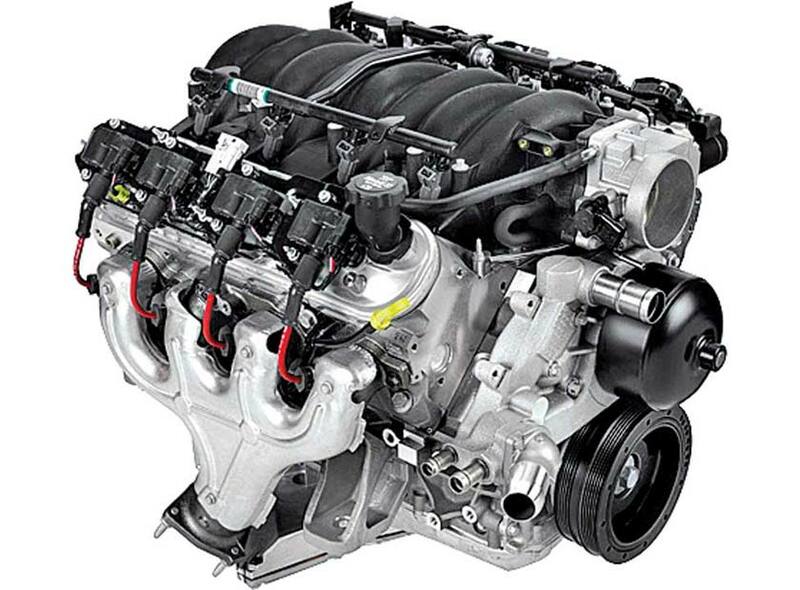 Generally speaking the stock 302 block can only hold around 500-550 horsepower. Any higher and you’ll risk breaking the block in half. Keep in mind that 550 horsepower will easily get you into the 10 second range in a full weight street Fox. If you want to run 9s or faster you’ll need to swap in an aftermarket block. Common block swaps include Dart Racing blocks, and Ford Racing Performance Parts Boss 302 block. Both of those will hold well over 1,000 horsepower and get you into the high 8s.